t and strengthen a tooth that has become weakened or has undergone dental trauma. Crowns also fit over and protect teeth that have had a root canal. Crowns can even make an excellent cosmetic treatment for discolored teeth that are too severely stained or malformed to be whitened or bonded. 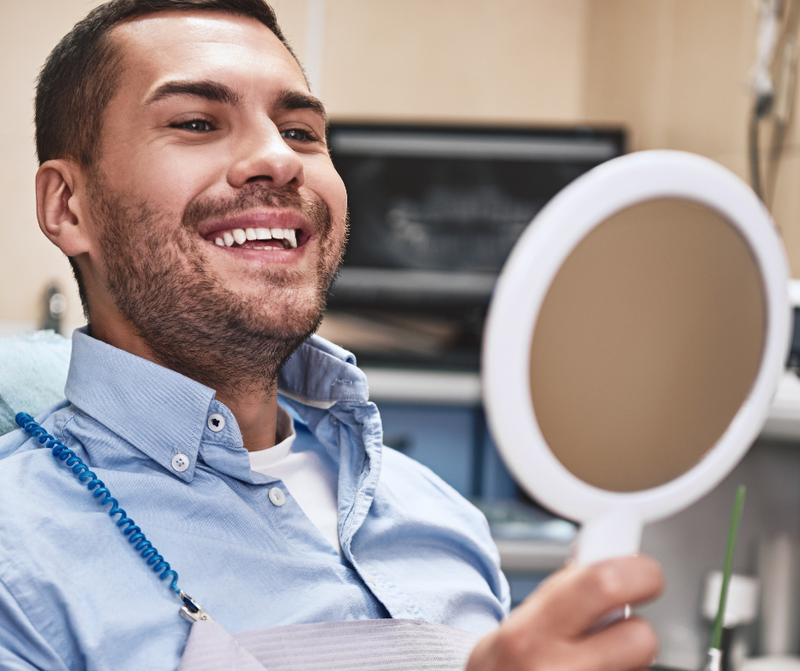 Getting a traditional dental crown takes several visits to the dentist. First, your dentist would prepare the tooth and take impressions. Those impressions would be sent to a lab where they’d form the basis of a permanent crown. In the meantime, you’d wear a temporary crown before finally having the permanent crown placed. There are a lot of steps involved in getting a traditional crown, so it’s not a one-visit procedure. It can take weeks, even months, before you’re finally finished with the traditional method of getting a crown. CEREC technology adds convenience, precision, and comfort to the process of getting a crown. CEREC (Ceramic Restoration, or Chairside Economical Restoration of Esthetic Ceramic) is an integrated 3D scanning and milling system that lets you get a dental crown in one visit. Same-day crowns are created by CEREC and uses computer-aided design (CAD) and computer-aided manufacturing (CAM) to make your crown in one day. The convenience of CEREC is simply unparalleled. The CEREC system digitally scans your tooth, using a special intraoral camera to create a refined digital impression that’s sent to a milling machine. The digital image is transferred to the milling machine, which gets to work making your crown. The CEREC milling machine that forms your crown from a single block of tooth-colored ceramic is phenomenally precise, capturing every last detail that needs to be replicated for a perfect fit. 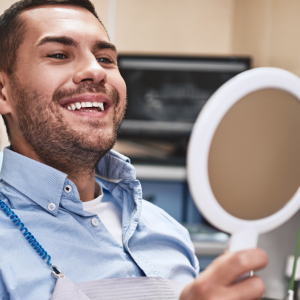 All the equipment, from the scanner to the milling machine, is right there in the same office, where any adjustments required can be made by your dentist immediately. Your crown is custom-fitted for your needs and fabricated in one place. Your dentist will make all the fine adjustments in that same visit, including cementing the crown in place and getting you on your way. What are the benefits of CEREC? Are there drawbacks? The main benefits of CEREC Same-Day Crowns are convenience and time saved for patients. Getting a crown fitted and placed in a single day, in a single visit, is light-years ahead of the traditional method. In the more traditional method of crown placement, you would need at least two visits to have a crown created and placed. It could take weeks or longer for a crown to be perfectly fitted to your needs, where CEREC needs only one day. Traditional crowns require you to wear a temporary crown between the initial and final visits, but you won’t have to deal with temporary crowns with CEREC. The crown you get is the first and final crown. 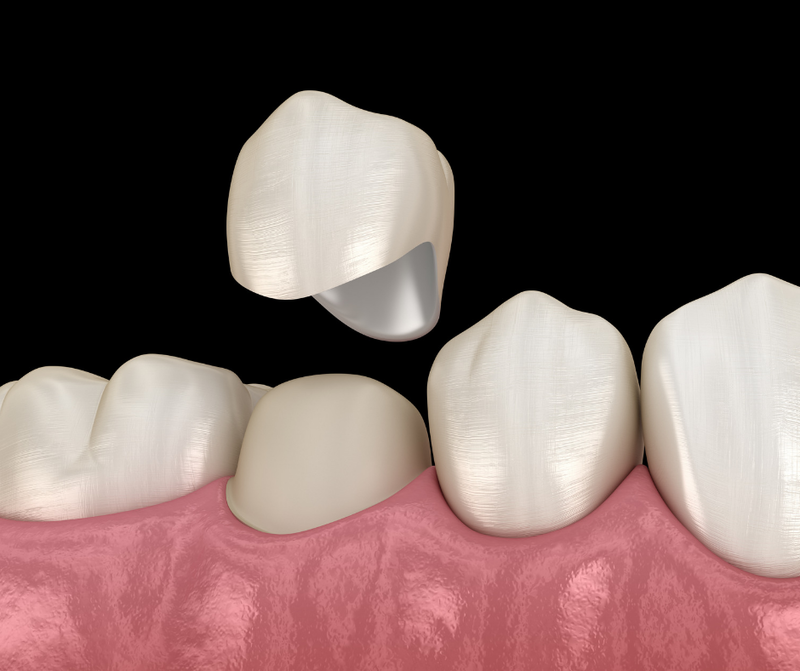 While there are no major drawbacks to the CEREC system, traditional metal crowns can be a better choice in cases where the tooth’s roots are very fragile and need extensive reinforcement. CEREC crowns are made from a single block of high-density porcelain and last from 10 to 15 years. They can last far longer than that, but habits like tooth grinding can shorten their effective lifespans. Who can have CEREC crowns? 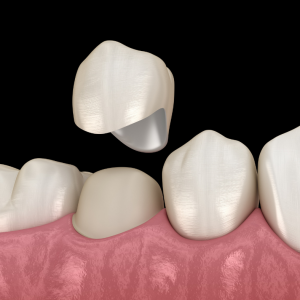 In most situations where a traditional crown is called for, a CEREC crown can be used. In other words, most patients are good candidates for CEREC crowns. They can strengthen brittle or fragile teeth, as well as teeth that have been weakened by large amalgam fillings. If you’re looking for a same-day restoration solution, CEREC crowns are the way to go. The accuracy of the restoration combined with the convenience of getting the crown placed in one visit is an unbeatable combination. ‹ What is cosmetic dentistry?